These grants provide up to £30,000 over 1-2 years for consumables, to support Clinical Lecturers who are looking to develop and strengthen their research careers. Round 21 is now closed. Decisions will be communicated to all applicants by early July. The next round will open for applications in mid-July. This year, we celebrate ten years since the launch of the Starter Grants for Clinical Lecturers scheme. The achievements of the awardees are cause for celebration. To mark this, we have published our report ‘Starter for 10: a decade of supporting academic Clinical Lecturers’ report which sets out the successes and includes case studies drawn from the last decade, which can also be found on our case studies webpage. 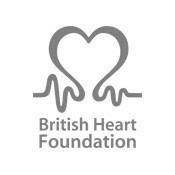 This scheme was launched in October 2008 as a partnership between the Academy and the Wellcome Trust, current funders of the scheme are the Wellcome Trust, British Heart Foundation (2011), Versus Arthritis (2012), Medical Research Council (2013), Diabetes UK (2016) and the British Thoracic Society (through the Helen and Andrew Douglas bequest for the use of research into tuberculosis control; 2018). The grants provide modest ‘starter’ funds to enable research active Clinical Lecturers to pursue their research work. Clinical Lecturer posts provide a salary but often do not come with the funding to support the costs of the research. This scheme was designed to help bridge this gap by providing Clinical Lecturers with access to modest research funds for up to two years. It gives them experience of preparing a research grant application and helps them establish their research portfolios by providing funding for research consumables. So far we have supported 457 Clinical Lecturers through 20 rounds of funding, with grants totalling nearly £13 million. In 2016, the Academy and the Wellcome Trust carried out a review of the scheme, which you can download from the right hand side of this page. In December 2013, we launched the Winter Science Meeting, an annual event Starter Grant awardees are invited to. For more information please visit the main Winter Science Meeting page. The grants are intended as start-up funding and as such are not intended for applicants who have already obtained substantial funding through, for example, Clinician Scientist Fellowships, New Investigator Awards or large project grants. 1. Have a PhD or MD. 2. Hold a medical, dental or veterinary undergraduate degree and be registered with the General Medical Council, General Dental Council or Royal College of Veterinary Surgeons. 3. Hold a clinical contract. 3. Be within higher specialty training. 4. Have undertaken a substantial period of research equivalent to a PhD or research MD, if you have qualified abroad with an MD. If your CCT date will fall during the course of your proposed project, at least half of the project must take place prior to the estimated CCT date. In this case, applicants must have secured protected research time throughout the proposed project (including the part taking place post-CCT). If your Clinical Lectureship post has been extended beyond your CCT and/or the majority of the proposed project might fall post CCT, then please contact the Office to discuss your eligibility. Clinical Lectureships in Primary Care are awarded post-CCT and we welcome applications from this group. However, for all other specialties, candidates are not eligible to apply if they have already attained their CCT. Senior Clinical Lecturers and Clinical Psychologists are not eligible for this scheme. 1. A research-active Veterinary Specialist in Training (Resident/Senior Clinical Training Scholar) within an approved Specialist Training Programme with secured and protected research time throughout the proposed project. 2. A research-active Veterinary Clinician or Veterinary Pathologist with Veterinary Specialist Board qualification or eligibility and within the 3 year (probationary) period of your first University appointment and with secured and protected research time throughout the proposed project. If your position is that of a Senior Lecturer but are still within the three year probationary period then you are still eligible for this scheme. This scheme is targeted at those who are in the earlier years of their Clinical Lecturer appointment. You should not already have obtained substantial funding from other sources, for example a Clinician Scientist Fellowship, New Investigator Award or large project grant. The maximum grant available is £30,000. This can be spread over one to two years to contribute towards directly incurred research costs such as consumables and equipment. Grants cannot be used to pay for your personal salary costs or to employ research assistants, PhD students or postdoctoral staff. The Academy recognises the challenges clinicians face when managing a clinical and a research career with family and caring commitments. During the review process, prior career breaks will be taken into account when evaluating a candidate’s research output and progress. If you are successful, you will be able to apply for a no-cost extension to your grant to account for periods of absence or delays in your project during your award. For an example of the success such Starter Grant holders can achieve, please click here. Successful applicants cannot reapply. Unsuccessful applicants are limited to one resubmission. Like all UK post-doctoral clinicians, Starter Grant holders are eligible for the Academy's one-to-one mentoring scheme and are encouraged to contact the Office regarding this. Applicants should not approach Panel members to discuss their application. All queries should be directed to the Panel secretariat on clinicallecturers@acmedsci.ac.uk. All Starter Grant Holders are required to report via Researchfish annually by the end of March each year throughout their grant and for three years after the completion of their award. Click here for full reporting instructions. A report of Starter Grant Holders' research outcomes submitted to us during our Researchfish submission window in 2018 is available for download on the right hand side of this page. You will also need to submit (via email to clinicallecturers@acmedsci.ac.uk) a Final Expenditure Report within 3 months of the end of your grant in addition to submitting Researchfish data. You can download the final expenditure form from the right hand side of this page. There are two funding rounds each year with closing dates in March (for a June panel) and September (for a December panel). You will need to apply for the programme using the Academy's online grant management system: Flexi-Grant. We do not require a hard-copy to be sent by post. You can download a sample of the application form and the guidance notes from the right hand side of this page when a round is open for applications. To keep up to date with news and round openings please follow us on LinkedIn and Twitter. We encourage you to engage with your supervisors, mentors and other senior academics during the development of your application. Your academic and clinical supervisors need to approve your application form so please discuss your proposal with them at an early stage. Please read our 'Ten tips for grant applications' to help you prepare your application. Your application will be reviewed by the Academy's Fellows and other experts in your research field. You will not need to attend an interview. We will let you know within 5 months of the submission deadline whether you have been successful. Answers to frequently asked questions can be found on the right hand side of the page, along with application guidance and a sample application form. If you have any questions please contact the Academy's grants team on 020 3141 3221, or email us at clinicallecturers@acmedsci.ac.uk. Stella-Maria Paddick, Newcastle University, HIV-associated neurocognitive disorders (HAND) in adults aged 50 and over attending a Government clinic in Northern Tanzania. A neuroimaging-supported study of phenotype, and pilot of alternative lower cost HAND biomarkers for low-resource settings. Dimitris Papamargaritis, University of Leicester, The effect of Canagliflozin 300mg on glucose homeostasis in subjects without diabetes after bariatric surgery: A randomised, open-label, two period crossover study. Michael Clynes, University of Southampton, Does epigenetic age acceleration predict future musculoskeletal outcomes? Melanie Hezzell, University of Bristol, Does surgical implantation of a novel bioprosthetic valved conduit in the right ventricular outflow tract affect right ventricular structure and function in healthy pigs? Charlotte Pawlyn, Institute of Cancer Research, Developing 3D ex vivo models to study novel therapies targeting high-risk myeloma. Sarah Howles, University of Oxford, The role of High Mobility Group Nucleosomal Binding Protein 1 in the regulation of urinary calcium excretion. Owen Pickrell, Swansea University, Using natural language processing software to enrich routinely collected electronic data for epilepsy research. 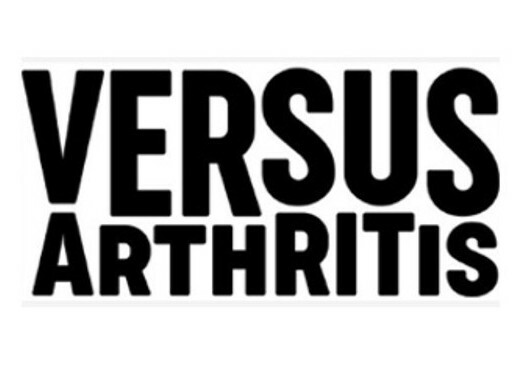 The scheme is generously supported by the Wellcome Trust, Medical Research Council, British Heart Foundation, Versus Arthritis, Diabetes UK and British Thoracic Society (through the Helen and Andrew Douglas bequest).